The current project window (or current drawing space) is the one in which you will be able to express your artistic talents and create a wide variety of animated sequences. 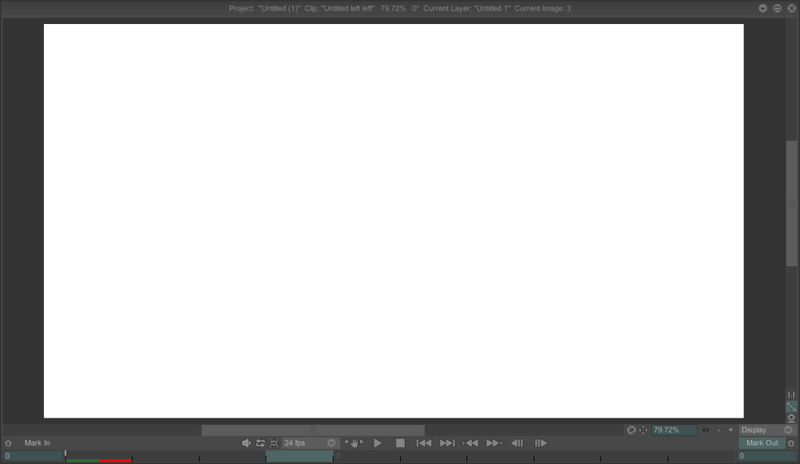 In the title bar at the top, the name of the Project, the name of the Clip, the zoom percentage, the name of the current Layer and the number of the current frame will always be displayed. This window is called the Timeline. It is used to manage your notes, your sound tracks, your layers and insert keys for your effects (we will discuss these points in subsequent lessons). In the title bar at the top, the name of the Clip, the name of the current Layer and the frame number will always be displayed.